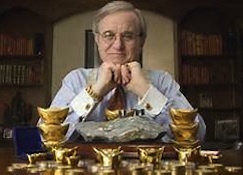 Central bankers are starting to lose control over financial markets from China to main street USA warns veteran gold trader Jim Sinclair who once advised the legendary Hunt Brothers. ‘They got the dickens scared out of them,’ he says in an interview with usawatchdog.com (click here). ‘They actually backed off providing the funds necessary… That’s your warning. The warning is markets can overrun plunge protection teams. Markets can and will overrun the manipulation of metals and currencies. What are these voices saying now? ‘Number one, the downside on gold is extraordinarily limited here. Two, the rally we are facing that will come in gold is going to be stupendous. Three, they tell me we may never call you back because this may be the rally you don’t sell. Investors need to understand the importance and value of any financial asset. The key is to do the right judgment at the right time. But how can anyone predict the right time to buy or sell the assets? In such scenarios, the automated traders like the Bitcoin Trader software will help you achieve your goals without worrying much about the downside of the market. ‘This may be the rally you don’t sell because gold is moving from a currency form to a valuation form… This may be the last time we call you means this is a rally that is not meant to be sold. ‘What is coming up in front of us is the Great Reset where currencies wear their gold like ladies wear a necklace, and the most beautiful necklace will be the strongest currency. The ladies without the necklace won’t be invited to the ball. Mr. Sinclair stands by his prediction last year of an eventual gold price of $50,000 an ounce. He explains: ‘You have to understand we are going into unprecedented deflation, and it’s the reaction of central banks around the world to the concept of deflation that brings about hyperinflation. ‘There will be debt monetization of all kinds of debt to maintain some sort of equilibrium. The price of gold is going to go to a level that is going to surprise everybody. I was told that this is a rally that you won’t sell. ‘That means gold will go to a level and not react violently down from that level… This is when gold is going to levels that today are considered more mental illness than monetary analysis. You can cancel this newsletter at any time. You will not receive any spam or commercial messages from arabianmoney.net, just the News Alert that you select.You need to seize all the opportunities that are available for learning. If you are a part of financial market you need to be updated with all the things happening around you. If you have the right information, it will help you in great deal while you trade online. There are different ways one can be a part of the financial market. Online trading of cryptocurrencies is the latest trend where everyone is following. Bitcoin, the most popular digital currency was introduced to the market in the year 2009. From then, it has been on a steady growth. It is the first currency that does not come under any authority. It works in blockchain technology. The other currencies which followed the bitcoin are ethereum, altcoin, Litecoin,etc. ArabianMoney has been informing over 40,000 global readers about the Middle East since 2008 with hard-hitting economic news and market commentary. Our FREE e-newsletter features, biting market coverage, expert commentary, and in-depth analysis… along with a sense of humor and some skepticism. We pen the ArabianMoney e-newsletter each day – for free — to show you how to live well in uncertain times! 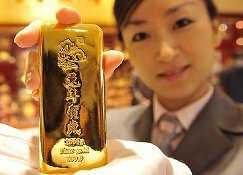 HSBC, the fourth-largest bank in the world, is predicting that the price of gold will be up 10 per cent by the end of this year and finish the year worth around $1,225 an ounce. Gold is down six per cent year-to-date. The bank believes Goldman Sachs and other commentators are wrong to say gold will fall in price as interest rates go up. HSBC’s analysis of the data showed that the last four times that the Fed raised interest rates the gold price went up, not down. The Federal Reserve is widely expected to raise rates later this year for the first time since 2006, albeit the Chinese equity crash, devaluation and trade slowdown might well scupper that plan anyway. Goldman’s argument is that gold pays no interest or dividends, so when interest rates go up then investors will shift away from gold. ArabianMoney has pointed out that this is wrong before: in the late 1970s gold prices rose eight-fold amid very high interest rates. That’s because gold is a hedge against inflation and higher interest rates are generally an indication that inflation is coming or already a problem. In times like these investors turn to choose alternate investment options. There are many to choose from, but it takes skills to understand which one to go for. Trading robots are proving to help investors in such scenarios. A legit software called Bitcoin Code or other similar ones will help in calculating the risks. All the same, inflation does not seem to be an imminent issue facing the global economy.Indeed, deflation is far more the worry of the moment with commodity prices, aside from gold and silver, in free fall and China devaluing its currency. Then again precious metals are an excellent hedge against deflation and devaluation too, especially when their own price cycle has just bottomed out as it appears to have done this summer. Gold has completed the classic 50 per cent bull market price retracement that also happened in 1975-6, and is preparing for the final stage of its bull market that started back in 2001. That won’t be a 10 per cent price advance, although that might be the first sign of it by the end of the year, but a massive price spike. Think how the Chinese equities shot up recently before their crash. This is how markets behave. Where will the gold price get to in 2016? $5,000+ as Martin Armstrong forecast in 2009 (click here), or $8,800 in a repeat of the 1976-80 spike? Another early warning of this spike is the conversion of banks like HSBC to the idea of gold as an investment class. For gold output is falling and reserves are tightly held, and once retail investors like HSBC’s customers begin to seriously chase the price up then anything could happen. Will others now follow Stanley Druckenmiller’s 20% gold allocation? Billionaire investor Stanley Druckenmiller has just raised his gold holdings to 20 per cent of the asset allocation reported by his Duquesne Family Office, according to Zerohedge.com. He’d not been a big investor in gold in the recent past despite public warnings about the danger of zero interest rates and money printing. But this latest filing showed that at the end of June his largest portfolio allocation was 2.9 million shares in the GLD exchange traded fund, or 20 per cent of total holdings. You have to wonder if this will not set a trend among hedge fund managers whose raison d’être is to hedge risk? Gold is the classic hedge against both deflation and inflation as a store of value, although ironically its recent four-year bear market makes it an even better buy at the moment. Many potential investors are waiting for the gold price to collapse by 50 per cent from its peak of $1,923 almost four years ago. Jim Rogers is among them. However, trying to call the bottom could be an expensive mistake if gold now continues higher from its recent summer lows. To be fair it has already completed a 50 per cent retracement of its bull-market advance and that could be enough before resuming its upward trajectory (click here). More fundamentally the Chinese devaluation that started last week could be an important catalyst for higher gold prices. First, it was the stock market boom in China that cut demand for gold in the first half and that has now gone bust; and secondly the devaluation policy response will cause a rush to buy hard assets before the yuan drops in value again. Given that China was the biggest buyer of gold last year this is very important for the gold market. Could it be that New York speculators will now jump on this bandwagon and Mr. Druckenmiller has just gotten in ahead of the crowd? The price action for gold over the past week since the Chinese devaluation announcement suggests he was prescient in his purchase of bullion, and probably got in at the market low. Buyers today can still buy at very reasonable prices but they likely won’t stay down for very long. The gold price jumped to $1,118 on news that China, the world’s biggest bullion consumer, has disclosed a 1.1 per cent increase in its gold reserves in July to 54 million ounces, according to data released on Friday by the central bank. On July 17th the country ended six years of mystery surrounding its hoard, revealing a 57 per cent jump in assets since 2009 and overtaking Russia to become the country with the fifth-largest stash. However, this is still widely believed to be an understatement of the true gold reserves held by China. The IMF said earlier this month that more work was needed on data transparency before deciding whether to grant the yuan reserve status. China devalued the currency this week and announced a shift to a more market-driven exchange rate mechanism. Bullion remains a large part of many central banks’ reserves, decades after they stopped using it to back paper money. Stockpiles of the metal help China to diversify its foreign-exchange holdings as the world’s second-largest economy seeks to raise the international profile of its own currency. 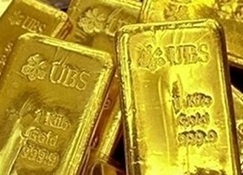 The central bank said on July 17th that it had boosted bullion assets to 1,658 tonnes, up from 1,054 tonnes in 2009, when it last updated the figures. The US has the biggest reserves at 8,133 tonnes. Many central banks remain exposed to a small number of key reserve currencies and look to gold as a hedge against volatile currency movements, according to the World Gold Council. Countries will probably buy 400 tons to 500 tons of the metal this year, the council said in May. Russia more than tripled its hoard since 2005 and Kazakhstan has raised its holdings every month since October 2012. The Federal Reserve may already have pencilled in a 50 per cent crash in US stock markets as a neat way to remove a lot of the liquidity created by its QE money printing suggests Europe’s largest bank, Deutsche Bank in a new report. The DB report itself says: ‘The more sinister undercurrent is that as the relationship between negative rates has tightened with weaker liquidity since the crisis, there is a sense that policy is being priced to ‘fail’ rather than succeed. At times like this is also worth giving a chance to decentralized currencies like the crypto currencies. They are not attached to any banks or the governments. So investment like these can help investors secure some money. Dealing in crypto can be tedious if we do not have the right information. This is where the trading systems help. Crypto CFD Trader system review articles can add more information on this topic. In order words, QE4 to keep the show on the road. In that case why not just keep the current show on the road and forget about having a crash? What if that is not now possible, and this is the least worst option? Central banks live in a la-la land where mere mortals fear to tread. However, the consequences of all the money printing of the past few years have already ended in a stock market crash in China, so why not the US where stock market valuations are also very high on historic measures? We’ve certainly heard it said that the People’s Bank of China has deliberately used a stock market crash to mop up its liquidity problems. Why not see the Fed do the same? It could well be the only route back to normal interest rates and investment dividends. Would there be a hurried panic reaction in the opposite direction by the Fed with a QE4? 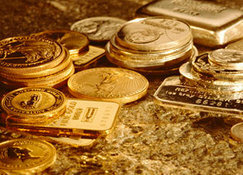 We would put money on it and buy gold and silver to profit from that last great bubble before the great global reset of currencies that will be the end of this volatile period, and a transition away from the dominance of global financial markets. Be careful you could be about to lose rather more than your shirt! Dubai house prices drop 8% while transactions crash by 69%, what next? Average Dubai house prices fell eight per cent year-on-year to the end of the second quarter, according to agents JLL, while the volume of transactions slumped 69 per cent from 23,800 in the first half of last year to 7,400 in the same months of 2015. This is a marked contrast to the two-thirds crash in house prices that occurred in 2009 when Dubai was hit by a double-whammy of the global financial crisis and a bursting housing bubble. Abu Dhabi’s intervention in late 2013 to stop another bubble forming in Dubai housing is the reason why this has not happened again. In 2013 Dubai house prices rose by the most in the world. But in the autumn transaction costs were doubled from two to four per cent and mortgage criteria tightened at the behest of the UAE Central Bank. That put a huge break on the market and prices began to fall by the second half of 2014. If house prices had been allowed to continue on their rocket ship trajectory post 2013 then the outcome would almost certainly have been another 2009-style crash. JLL notes that this is a sign of a ‘more mature’ property sector in Dubai, and something that will make it more attractive to long-term real estate investors who dislike boom-and-bust cycles. The property prices will change based on the demand and the population. It will see both inflation and deflation in the same year. So that the real estate builders can face profits as well as losses. They should be bold enough to face the both. In Dubai, the population is always getting increased, because many people from India are going to Dubai to earn money. So, there is no chance for the reduction of population in Dubai. The people in India why not try here to live a happy and luxurious life without leaving to other countries. The debate now is whether the Dubai property market is going to be oversupplied by is upcoming development pipeline or not. Recent population growth rates of seven per cent per annum suggest not. JLL says that even a reduction to five per cent growth will take the population 400,000 higher by 2020, requiring more accommodation than the current development pipeline can offer. Off-plan projects may also slow delivery if the local economy stalls as many found out in 2009-2010, while projects can also be cancelled and consolidated again. Most of the developers are government owned or controlled so this is a matter of central planning. Delivery delays are common anyhow. 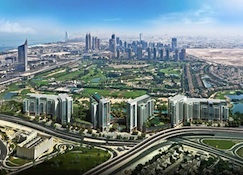 For example, Emaar today announced the $229 million building contract award for its The Hills apartment project at the gateway to the Emirates Living Community. This off plan project was first launched two years ago in 2013. How long will it be before the buyers actually move in? 2018? The construction of villas and apartments takes time and the market can also be caught short of property as it was in 2012-13 when the Arab Spring suddenly boosted demand for safe haven homes in Dubai and the local economy recovered from the global financial crisis more quickly than expected. All property markets are cyclical. What is notable today in Dubai is that the cycle is now indeed more that of a mature economy than an emerging market, so the massive highs and lows have ended, short of a major regional or global catastrophy. Absent such an event – or even because of it if subsequent money printing boosts oil prices as it did in 2009-13 – then Dubai property prices will probably fall modestly until autumn 2016 and then consolidate and bottom out ready for the next boom until 2020 and the Dubai Expo. 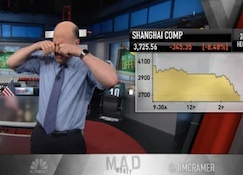 Mad Money presenter and hedge fund manager Jim Cramer knows that no one wants to hear this, but the US markets are going to follow China down. Some say that Cramer’s theory is completely ridiculous; they think that the U.S. has nothing to do with China. They believe that US markets are not linked because when the Shanghai Stock Exchange Composite Index nearly doubled from November to June, the US market did not double along with it. But that’s not true. First, there is a huge number of large American companies that export to China. Second, because it is now widely known that the Chinese communist government is not as shrewd or masterful as once thought. And third, because the US market is always held hostage by futures trading, which tends to be a reaction to whatever bad is happening overseas. America has far established itself as the biggest superpower of the modern world and authoritatively interferes in the civil and political issues of countries under crisis. Colonialism had ended much before, but the US has often been called as ‘world police’ because of being omnipresent in all the global issues. If it is the rising tension between the North and South Korea or the hostage camps in the African and Middle-East countries scorching under civil war and extremism, the US is always in the commanding position. For a business involved in creating Bitcoin Loophole review, any drop in the popularity of bitcoins will definitely have a say in its business. When the level of involvement is like this, it is imperative that any change in the atmosphere of these countries will send waves strong enough to cause some kind of ramification in the US economy. It may be manifested in the form of decreased exports, reduced oil supply and hence volatility in oil price, manufacturing bottlenecks, self-sided financial policies, weak defense ties and allied relationships etc and China being the largest rising economy and the most populous country, US is bound to get the Chinese rays. Martin Armstrong calls cyclical bottom for gold prices, now to $5,000? Famously controversial futurologist, economist and business cycle expert Martin Armstrong, who forecast ‘$5,000+’ an ounce gold for 2016 on November 7th 2009 more than five years ago, now says gold touched rock bottom last week. Gold bounced back to $1,099 at the close of last week, comfortably beating this bottom-marker and proclaiming the end of the recent sell-off. 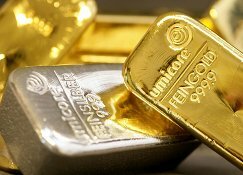 The precious metal has tested a critical 50 per cent retracement of its bull market run. That is to say it fell to the mid-point between its $1,923 top in 2011 and $247 starting point in 2000. Forget the other stuff about the Gold, on looking at the drastic price fluctuations, can you conclude something? Yes, the fluctuations are very common in the investment market! Then, why fear the price fluctuations of something intrinsic and nascent like the cryptocurrency, whose future performance is expected to be promising? So, go ahead and invest in your favorite cryptocurrency, and if that is supposed to be the Ethereum then, with the help of the Ethereum Code platform! So will gold prices now head to $5,000-plus as the world enters a second global financial crisis of unimaginable dimensions? That is what this forecaster said would happen next year more than five years ago (click here). He’s been right many times before, and his prognosis for the gold price outlook in 2009 was also very accurate… Back then he commented: ‘We should see a temporary high in 2010-11 with a retest of support in 2012-13 with a rally into 2016.’ He also got the ‘explosive rally’ of 2011 spot on target. The crucial difference between Dr. Armstrong and most gold forecasters is that he has always argued that it would not be consumer price inflation that sent gold prices rocketing upwards but a general loss of confidence in governments and by extension paper money or sovereign bonds in a period of deflation. And what are we seeing today as China deals with its stock market crash and the eurozone struggles with Greece? Deflation led by commodity prices and a loss of liquidity as bond markets dry up. The US is not going to be immune from these pressures, and is also carrying a huge debt. Gold may have just had its nemesis, the real problems are just starting for other asset classes.